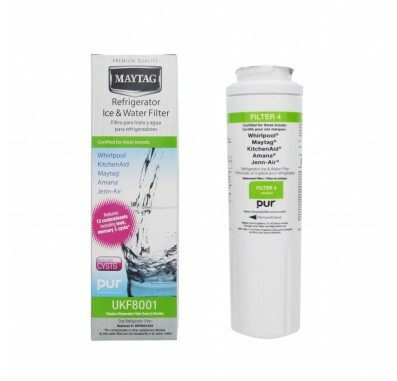 The Maytag UKF8001 Refrigerator Water Filter has been discontinued by the manufacturer. Please try one of the replacements below. The Maytag Refrigerator Ice and Water Filter fits Amana, Maytag, Jenn-Air, Whirlpool, KitchenAid, and Kenmore refrigerators with a filter that swings down from the ceiling of the fridge. The filter uses Activated Carbon Block to remove contaminants for up to 6 months. Amana/Maytag recently changed their part names and numbers. 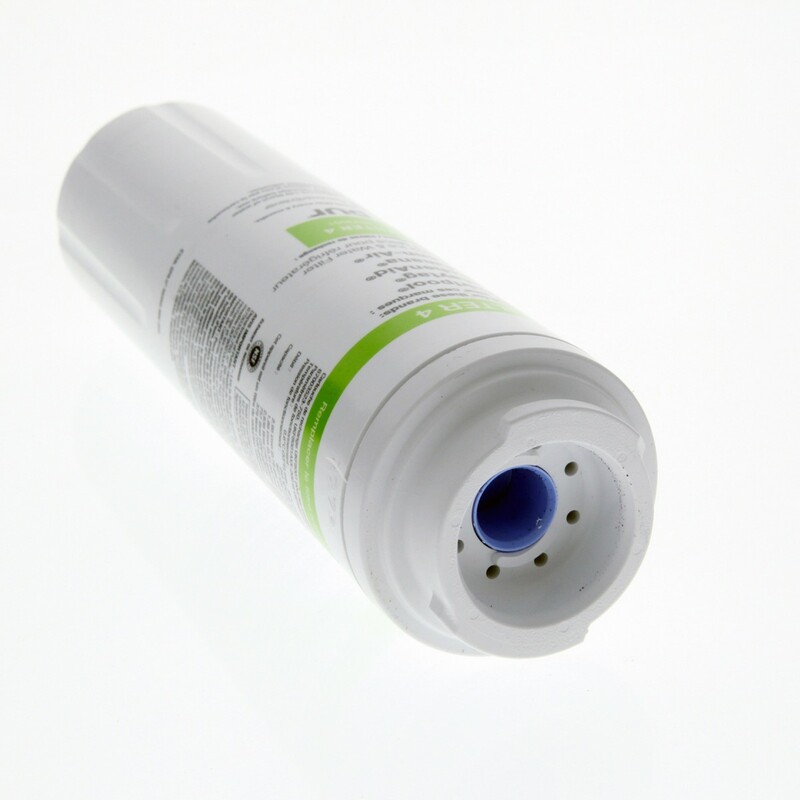 This filter was previously known as the Amana/Maytag PuriClean II UKF8001AXX. 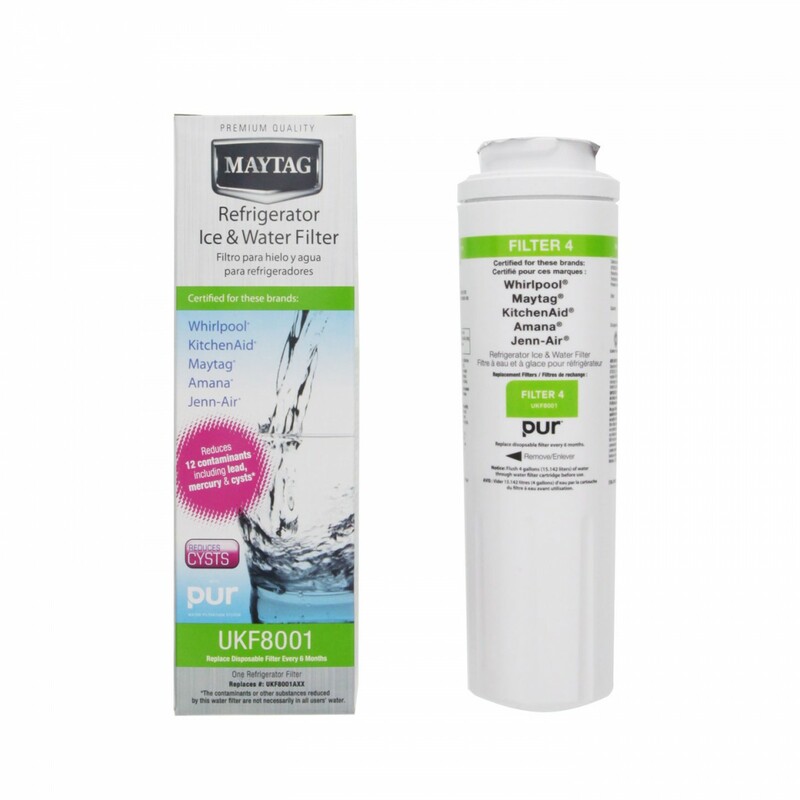 The new name is Maytag Refrigerator Ice and Water Filter UKF8001 (with PUR Water Filtration System). Made in U.S.A. 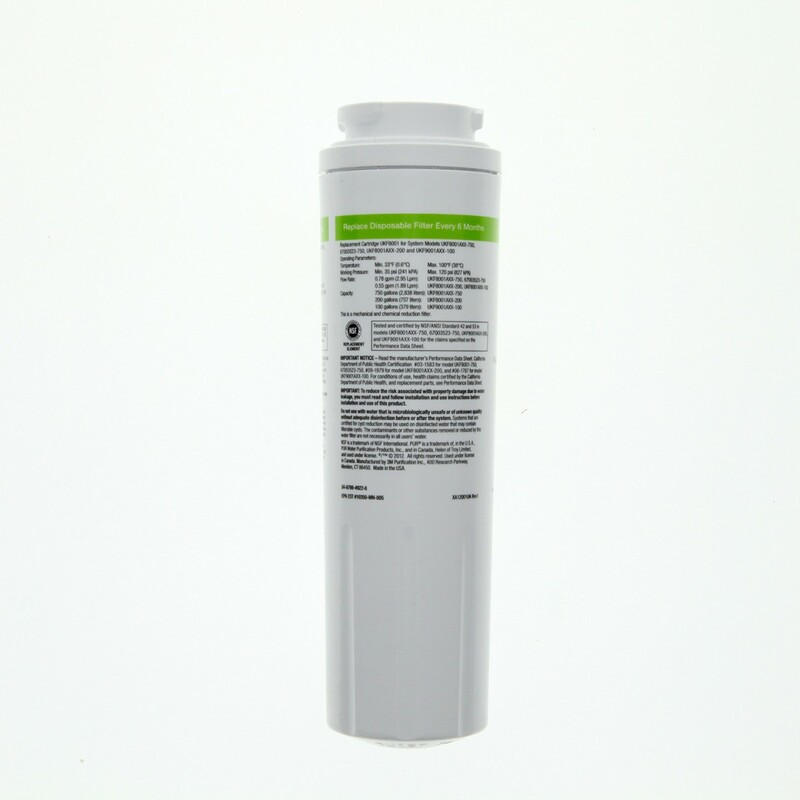 Consider upgrading to the Whirlpool EveryDrop EDR4RXD1 filter for increased contaminant reduction. Order today!